Remote sensing can enhance our understanding and knowledge of terrestrial hydrology and hydrologic fluxes at the land-air interface, and terrestrial water stores. In the area of active remote sensing, some recent advances may hold promise for enhanced observational capabilities in understanding and characterizing terrestrial freshwater resources and fluxes. Remote sensing offers intriguing tools to track surface water hydrology, but current techniques are largely limited to tracking either inundation or water surface elevation only. For the first time, the upcoming Surface Water Ocean Topography (SWOT) satellite mission will provide regular, simultaneous observations of inundation extent and water level from space (2021). SWOT is unique and distinct from precursor altimetry missions in some notable regards: 1) 100km+ of swath will provide complete ocean elevation coverage, 2) in addition to the ocean product, land surface water will be mapped for storage measurement and discharge estimation and 3) Ka-band single-pass interferometry will produce the height measurements introducing a new measurement technique. Snow cover and its melt dominate water sources in many of the world’s mountainous regions, along with areas downstream which depend on river flows originating from mountain basins. However, snow water equivalent (SWE) across Earth is very poorly known. Our inability to measure and track distribution of SWE severely limits our skill in modeling snow cover for climate and hydrology. In 2013, NASA/JPL began an ambitious program to solve the need for distributed SWE and coincident snow albedo, developing the Airborne Snow Observatory (ASO). The SWE component of the ASO comes from the scanning lidar, which is used to map distributed topography for snow-free and snow-on conditions and in turn snow depth. SWE is generated from the snow depth maps and snow density models constrained by in situ measurements. Recent work has demonstrated similar capabilities might be achieved through the use of high-accuracy interferometric radar may be able to make similar measurements, but with the advantage of being impervious to cloud cover. The key controlling variable of the hydrologic partitioning over terrestrial surfaces is soil moisture and its profile within the root-zone. Surface moisture (0-0.1m) and its variation are controlled by surface soil evaporation and runoff. Deeper moisture (0.1-1m) and its variation are strongly related to drainage and transpiration by deep-rooted grasses and trees. The difference between the two reservoirs characterizes the soil moisture gradient, which undergoes frequent reversals in response to wetting and drying periods. The root zone soil moisture (RZSM) reflects much more adequately the water available for plant utilization in the immediate to near-term. This information at a high spatial resolution is highly pertinent for precision management at the plot-scale and can be tailored for individual crop needs. Under a NASA Earth Ventures mission (PI Prof. Moghaddam, USC) the retrieval of vertically resolved root-zone soil moisture (RZSM) profiles were successfully demonstrated from P-band radar observations. The retrieval error of RZSM profiles was shown to be less than 0.05 m3/m3 calculated over several biomes representative of north American landscapes. 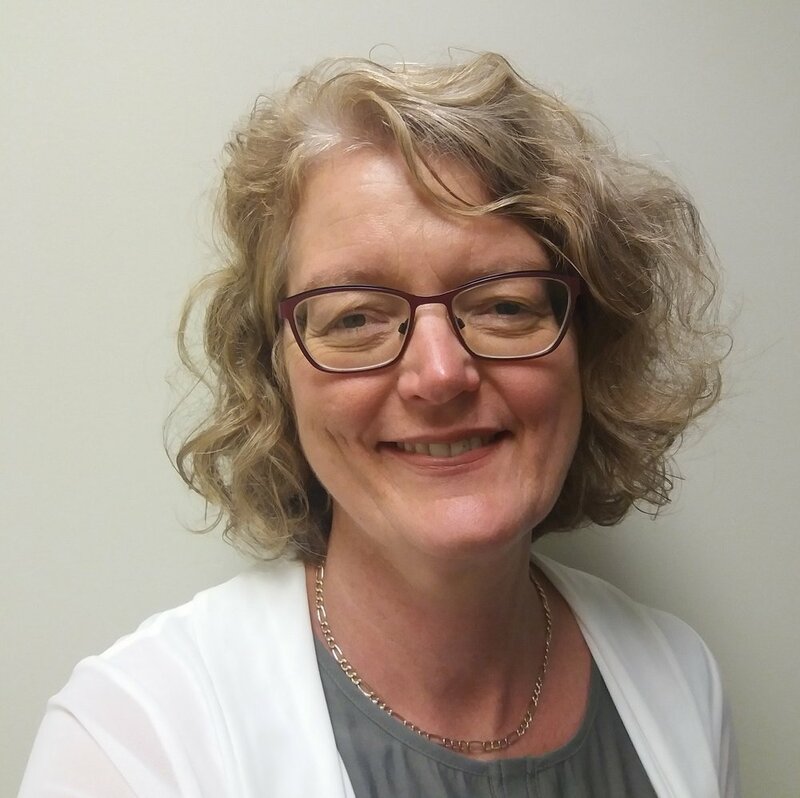 Dr. Delwyn K. Moller is the newly appointed Director of Research at the Centre for Space Science Technology, Alexandra, NZ. Prior to this she was a Principal Systems Engineer at Remote Sensing Solutions Inc (RSS). She received her Ph.D. in Electrical Engineering from the University of Massachusetts-Amherst after completing the M.E degree (Distinction) and the B.E. degree (Honors) at the University of Auckland, New Zealand. She joined NASA’s Jet Propulsion Laboratory (JPL) where she worked on radar technology, primarily with a focus toward Earth science. Both at JPL and in her position at RSS, she has developed innovative state-of-the-art remote sensing systems for measuring critical aspects of the Earth’s surface to support science research and applied sciences. Delwyn has lead numerous NASA and non-NASA endeavours, with applications ranging from global surface mapping of ocean currents, ice-surface topography, surface water hydrology, snow depth, soil moisture, precipitation, seismology and radars for guided landing on other planets. These activities have included ground-based, airborne and spaceborne systems. She has won multiple JPL and NASA awards including being a co-recipient on the prestigious NASA Space Act award for a planetary landing radar design. Her career has largely focused on developing imaging radars and interferometry for mapping terrain, water, snow and ice-covered surfaces with high-resolution and accuracy that enables new areas of scientific discovery. She has teamed up with some of the world’s most eminent scientists to mature the research and development in these various arenas. The capabilities that have resulted have potential impact in the commercial, government and humanitarian sectors. In addition to her continued research, Delwyn is working to transition her work so that it can be made available in the public sector for broader utilization. For example, the technology Dr Moller has developed could be used in developing nations for enhancing flood-forecasting through providing better topographic flood-plain maps over large-scales. Similarly vulnerability to sea-level rise of coastal regions could be assessed providing critical information to regional planners. Further, such technologies could be employed to support hydroelectric forecasting, precision agriculture, and disaster response. Accurate and timely knowledge of land elevation underpins the economic development, environmental sustainability, and resilience of our society. In the Southern Alps of New Zealand, tectonic and glacial activity create a land surface that can change rapidly with time. Recent developments in space-borne sensors now allow high quality topographic products to be created that are competitive with aerial alternatives. We have developed a proof-of-concept capability to transform rapidly and reliably such imagery into high-resolution surface elevation data. This is exemplified by recent processing of data from the PLEIADES satellite constellation operated by AIRBUS DS that has allowed to detect and mitigate a potentially life-threatening hazard in the Mt Cook National Park, leading to the immediate closure of the iconic Murchison hut. With various operators growing constellations of very high-resolution (VHR) space borne optical sensors (e.g., AIRBUS DS, DigitalGlobe, Disaster Monitoring Constellation), the availability of bi/multi-stereo imagery has increased significantly. Simultaneously, space borne photogrammetry has benefitted from significant progress in image processing enabling high quality reconstruction of topography in complex terrain to be generated. This step-change in high-resolution topographic mapping via space-based remote sensing is a transforming opportunity to complement and add to national mapping efforts, support growth in the geospatial economy by developing capacity to deliver up-to-date high quality data, and an opportunity to contribute significantly to the geohazard monitoring strategy in New Zealand. Furthermore, the rapid growth in imagery capabilities will soon create new opportunities associated with the regular monitoring of topography at high spatial and temporal resolution that will transform the way we see and monitor our environment, aid efforts to mitigate risk and hazards, as well as build social resilience. Pascal obtained a diploma of multidisciplinary engineering majoring in mechanical engineering and structure dynamics from the École Centrale de Lyon in France in 2001. He started a career as a research engineer with a manufacturer of aircraft engines, then became a chief project manager for a famous watch manufacturer in Switzerland. In 2005, Pascal discovered the science of remote sensing and completed a PhD with the School of Surveying. He joined the School's academic team in early 2008 where he now holds a senior lecturer position. Pascal teaches and conducts research in areas of Remote Sensing, Photogrammetry, and Spatial Analysis and published over 50 peer-reviewed research papers. Pascal made himself known to the wider public in 2014 with the resurvey of Aoraki/Mt Cook (New Zealand’s highest peak) for which he was awarded a New Zealand Spatial Excellence Award (NZSEA) and the Young Mountain Cartographer Award from the International Cartographic Association. He was also the PI and led the LiDARRAS project that recently completed the survey and massive (laser)scanning of a network of tunnels and quarries dug by the New Zealand Engineers Tunnelling Company in the Northern France city of Arras during WWI. Pascal was awarded the 2017 Charles Fleming Senior Scientist Award by the New Zealand Royal Society to support his research on snow and glaciers in New Zealand. Remotely sensed data is a key component for natural hazard research undertaken at GNS Science, often used to map geological features and damage following large disaster events. Satellite and aerial imagery are used for visual inspection of landslide failures, liquefaction and fault rupture, along with LiDAR and InSAR which can show ground displacements following large earthquakes or volcanic eruptions. Combining visual data with elevation models generates an invaluable resource in mapping, modelling and assessing geological hazards by enabling remote identification of sub-metre scale geomorphic features and have proven instrumental in geologic, paleoseismic and geomorphic research. Digital inventories following large scale landslide events are extremely useful for understanding relationships between slope failure and rainfall or ground shaking, along with informing local councils and affected communities on the extent of damage. However, there is often a concession between resolution, speed of capture, spectral range and cost which can affect the final output of the product along with its application for geological research. Recent applied remote sensing studies from the 2011 Hawkes Bay landslides and Ligar Bay debris flow triggered by extreme rainfall events will be presented, along with landslide and fault mapping from the 14 November 2016 Mw 7.8 Kaikōura earthquake. Each case study will highlight the benefits and outputs from incorporating both satellite imagery and aerial photographs into event response research at GNS Science, along with the current limitations of use when utilising this remotely sensed data. Katie Jones is a Remote Sensing and 3D Geology Senior Technician at GNS Science with a background in geomorphology. She holds a BSc from Victoria University with a double major in Geography & Geology, and a MSc in Physical Geography. Katie is involved in hazard response remote sensing research at GNS, tasking, processing and analysis of satellite imagery, aerial photos, UAV and lidar datasets following large scale events such as rainfall induced landslides or debris flows and earthquakes. Katie uses photogrammetry and Structure from Motion derived datasets for geomorphic change detection to generate landslide volumes and identify areas of tectonic displacement, and uses imagery alongside these datasets to generate landslide and debris flow inventories mapping landscape damage and sediment transport. Since 2006, the Land Use and Carbon Analysis System (LUCAS) programme at the Ministry for the Environment has been gathering earth observation data to report changes in carbon stocks resulting from land use change in New Zealand. Earth observation data has provided an unparalleled opportunity to detect and map changes in our landscape, however this has not been without its challenges. This talk will provide a brief overview of the LUCAS mapping programme, including the various sensors used through the years. It will examine some of the particular challenges of maintaining a consistent monitoring programme with changing technology, and will look to some of the opportunities for future development of the programme. Deborah studied Information technology and image processing at Massey University (BSc(hons), 1989) which led to a role as a remote sensing scientist with Manaaki Whenua - Landcare Research in the 1990s. At Landcare, she worked on feature extraction and modelling bi-directional reflectance effects in vegetation. After a number of years of full-time family management, Deborah undertook a Post-grad diploma in GIS at Victoria University and worked in the commercial geospatial sector before joining the Ministry for the Environment in 2008. Since 2011, she has led the mapping programme within LUCAS, which is responsible for international greenhouse gas reporting on land use change under the United National Framework Convention on Climate Change (UNFCCC) and the Kyoto Protocol. An important issue commonly faced during classification of satellite imagery is the applicability of a given approach to a wider area, such as the entire landmass of New Zealand. Ground data is essential to both informing classification approaches as well as assessing them, yet it is often very expensive and time consuming to obtain. The LUCAS permanent plot network as well as the NVS (National Vegetation Survey) forest plot database are potentially extremely valuable sources of ground-based information for remote sensing, however there are several issues that must be overcome before they can be used. This presentation will cover the main issues of plot size and location accuracy, the combination of which often make it difficult to tell which satellite pixels fall on or around a given plot. We will also explore the related issue of how representative a given plot is of its surrounding area, from a remote sensing perspective, and present our current approach to resolving these issues. This work falls under one of the goals of the Advanced Remote Sensing of Aotearoa project which is to expand the size of a number of forest plots by mapping their representative area using data collected about the area surrounding each one from a variety of sensors, both ground and air-based, to improve available satellite ground-truth data. Originally trained as a Software and Electronics Engineer, Ben joined Manaaki Whenua – Landcare Research in 2015 while in the final stages of completing his PhD in Atmospheric Physics. As a Scientific Programmer in the Informatics team, he now works across a variety of projects involved with remote sensing, Antarctic weather and climate, high performance computing, RPAS ('drones'), terrestrial and mobile laser scanners, and the development of scientific software. The Department of Conservation is charged with managing approximately one third of the terrestrial land area of New Zealand. The overwhelming majority of these Public Conservation Lands (PCL) are infrastructure poor, remote, steep and mountainous, and usually covered in tall forest, shrubland and grassland communities. Not surprisingly, this presents considerable management and monitoring challenges for conservation staff. However, the increasing adoption of GIS technologies, sophisticated analytic routines, improved computational power and the integration of these with geospatial imagery from multiple platforms is presenting NZ conservation ecologists with a vast volume of information at increasingly ecologically relevant scales. Unfortunately, ecologists have been relatively late adopting remote sensing as a means of enhancing more traditional observer-based field methodologies. Presumably this has been driven by the historically coarse resolution of satellite imagery relative to the ecological scale of interest, expensive and operationally complex hardware and software and the difficulties of applying remote sensing in some situations. In this talk, Terry will outline some of the recent case studies they are conducting to test the application of remotely sensed data (satellite and aircraft-based sensors) for conservation. Following completion of post-graduate studies at Auckland University in 1988 Terry commenced working for DOC as a contractor in the late 1980’s then as an ecologist from 1996. His initial career was spent working on various threatened species recovery programmes throughout the country including offshore and outlying islands from the tropics to the sub-Antarctic as well as research in Antarctica. Assessment of monitoring methodologies and their appropriate field application have become important aspects of Terry's role as DOC seeks to accurately assess the efficacy of management actions and look for more efficient ways of doing things. Remote sensing technologies have remained a strong interest since his first exposure as an undergraduate in the mid 1980’s. Terry’s co-workers and he are increasingly involved in exploring and promoting remote sensing technologies such as acoustic monitoring, satellite imaging and high-resolution aerial and multispectral photography for conservation purposes. The free availability of Sentinel 2 optical satellite imagery presents a significant opportunity for land cover classification of New Zealand. Sentinel 2 imagery is acquired every 5 days, has 10m spatial resolution and better spectral resolution than either Landsat or SPOT satellite imagery. This and its low cost make Sentinel imagery ideal to continue and improve mapping programs that previously relied on commercial satellite imagery sources. One such example is the Land Cover Database (LCDB) of New Zealand which currently contains national data for four mapping dates. The MBIE funded research programme “Advanced Remote Sensing of Aotearoa” will use temporal Sentinel imagery to develop methods to improve LCDB’s thematic accuracy and create additional data layers for future mapping. Achieving these goals will require the ability to automatically mask cloud and cloud shadow from large volumes of temporal imagery to a standard similar to that performed by manual interpretation. This has proven to be difficult, particularly in a cloudy country like New Zealand. We will demonstrate our Sentinel 2 imagery processing of NZ, compare current cloud and cloud shadow detection methods, and discuss future research opportunities. 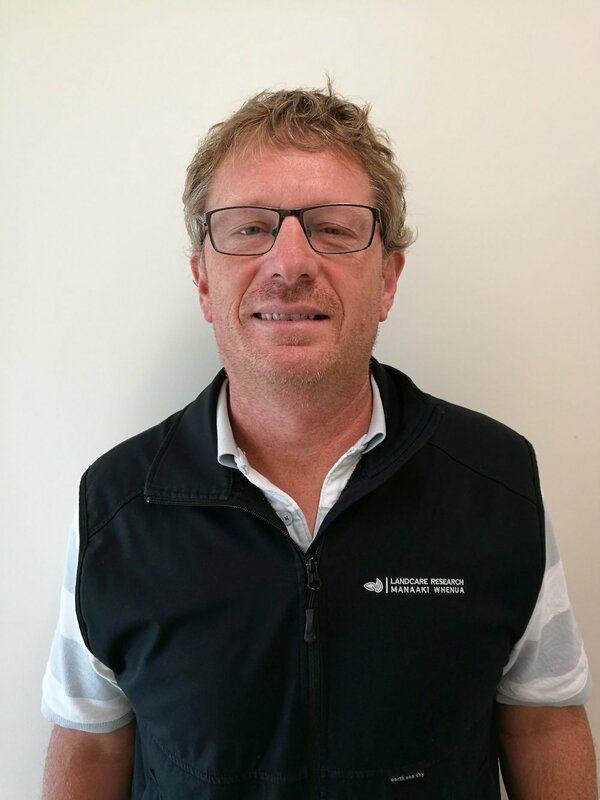 James Shepherd is a senior scientist at Manaaki Whenua – Landcare Research with 21 years of experience in remote sensing and image processing. He has specialised in correcting satellite imagery for atmospheric, topographic and directional effects and its subsequent classification for environmental applications. James also has experience in object-based image analysis as well as the processing and application of LiDAR data. One of the important applications of space science to NZ is the study of natural hazards, and in particular measurements of sea level rise. Traditionally the method for measuring sea level is by tide gauges. The reference is then the shore line. If, however, the land itself is moving up or down due to tectonics then the tide gauge is measuring the sum of tectonics and (global) sea level change. Direct observations of vertical movements of the earth’s surface, with respect to the centre of the earth, are now possible with the space-based global positioning system (GPS) networks. Here we present data on vertical movements of the Earth’s surface in New Zealand, computed from the processing of GPS data collected between 2000 and 2015 by 189 permanent GPS stations. We map the geographical variation in vertical rates and show how these variations are explicable within a tectonic framework of subduction, volcanic activity and slow slip earthquakes. Subsidence of > 3 mm/yr is observed along southeastern North Island ( from Napier south) and is interpreted to be due to the locked segment of the Hikurangi subduction zone. For a global sea level change of ~ 3 mm/y the effective sea-level change for this part of NZ is now 6 mm/y. On the other-hand there are parts of the western North Island coastline undergoing tectonic uplift of 1-2 mm/y and in these areas the effective sea level change will be less than the global rate. By far the biggest signal in the GPS field is a large area ( 100 km x 50 km) where subsidence is ~ 25 mm/y in the Taupo-Rotorua area. Causes of this anomaly and implications for hazards will be discussed. Providing an understanding of earthquakes and their occurrence throughout the greater New Zealand area. Provide a geological framework and interpretation for sedimentary basins, and their resources, of onshore New Zealand and within the Extended Economic Zone (EEZ). Since 2004, Tim has led, or co-led, four Marsden funded programs – seismic exploration of the North Island’s upper mantle (2004); recording and interpreting microearthquakes on the central section of the Alpine fault (2008); an investigation of mantle processes that drive the uplift of the central North and South Island (2012); application of small scale convection processes to uplift of major mountain ranges such as the Transantarctic Mountains (2016). 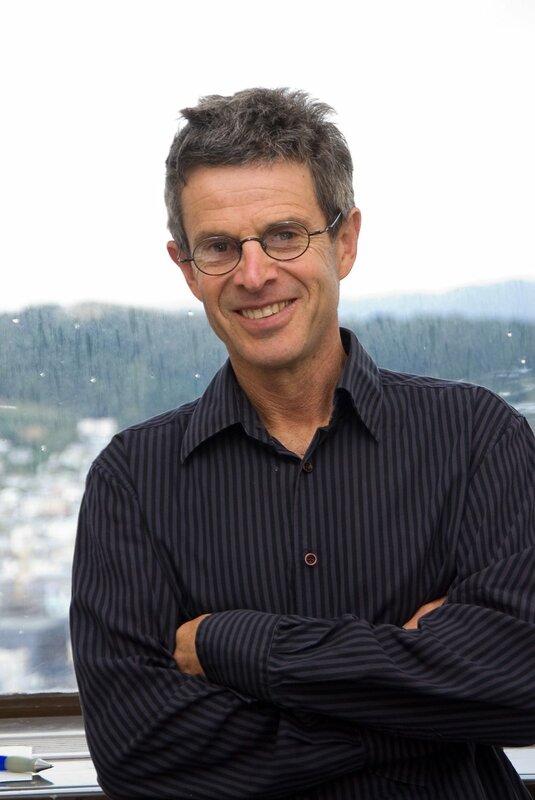 Dr Tim Stern is an Elected Fellow of American Geophysical Union (2012), an Elected Fellow of Royal Society of New Zealand (2007), LeverHulme visiting professorship to UK in 2010, and a James Cook Fellowship, Royal Society (2010-12).